We’ve been enjoying releasing all of our newest fall-themed products lately! 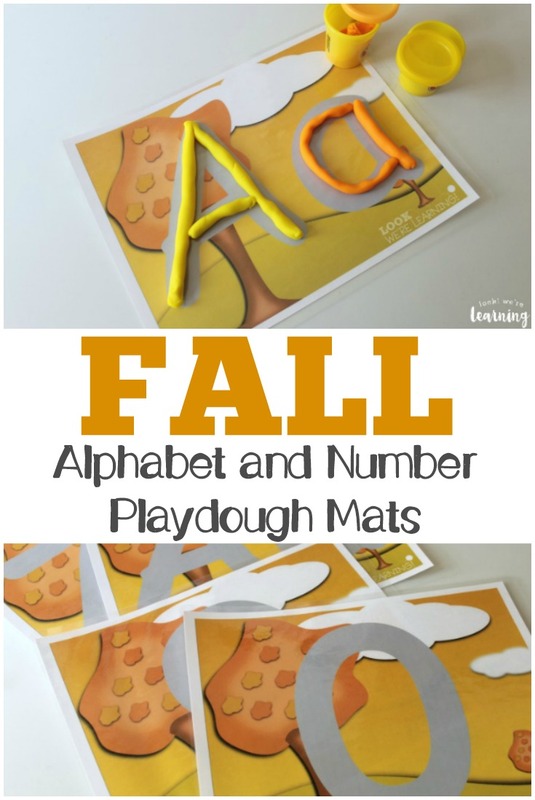 Today we’re wrapping things up with a set of Alphabet & Number Fall Playdough Mats! 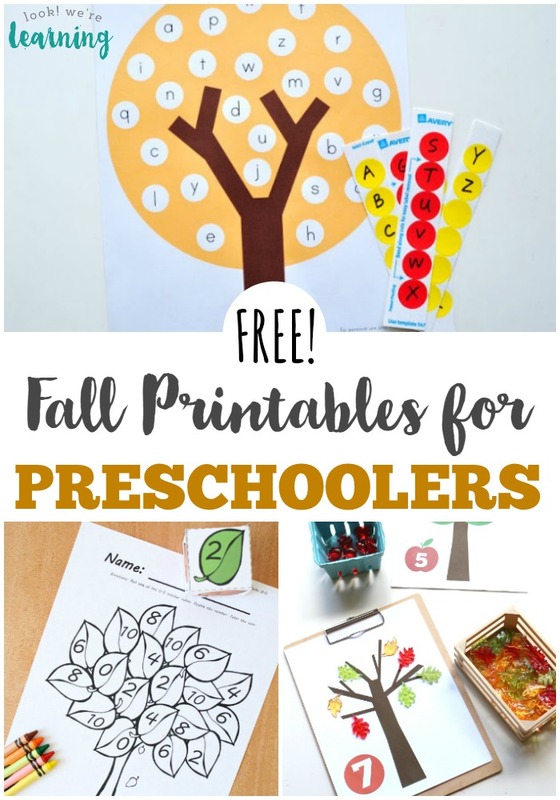 By the way, don’t miss our other preschool playdough mats, including our apple tree counting mat – another easy fall project for PreK! 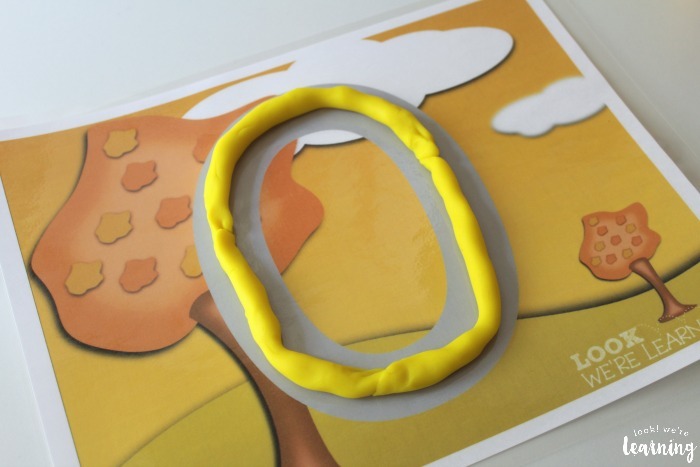 To use these mats, show the kids how to roll their playdough into rope-like shapes. 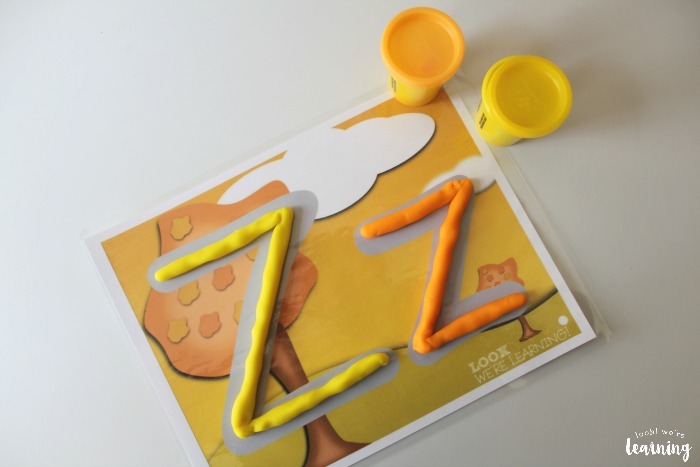 Once they form the playdough ropes, they can connect them together to trace the shapes of the letters and numbers on the mats. We decided to use fall-themed colored playdough as well. 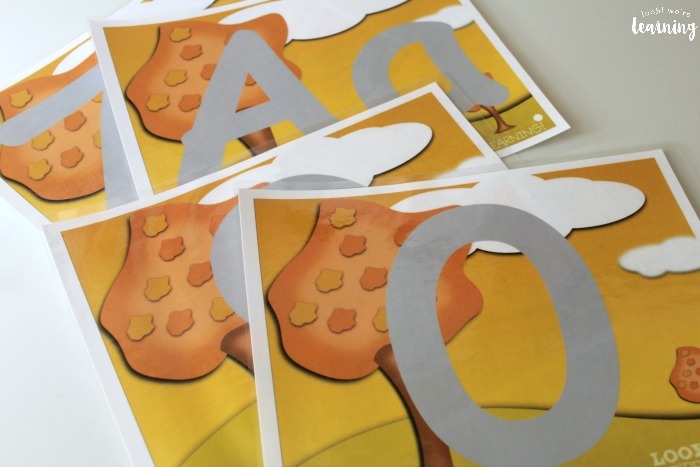 There are mats for each letter – from A all the way to Z! 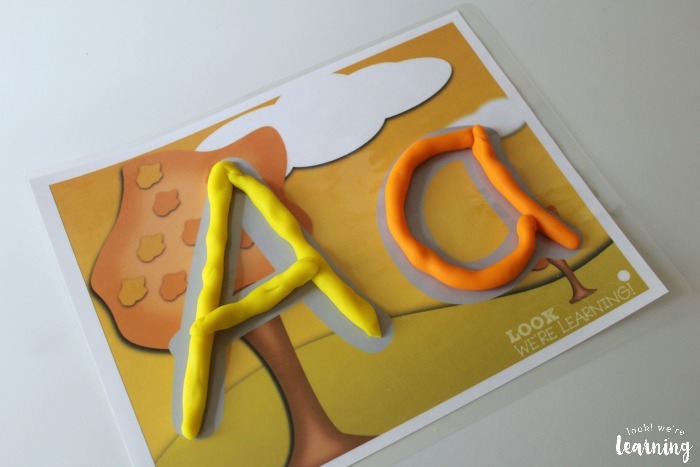 So if you’re using letter of the week with your preschoolers, you can choose one letter per week and work on practicing forming the letters as you go. 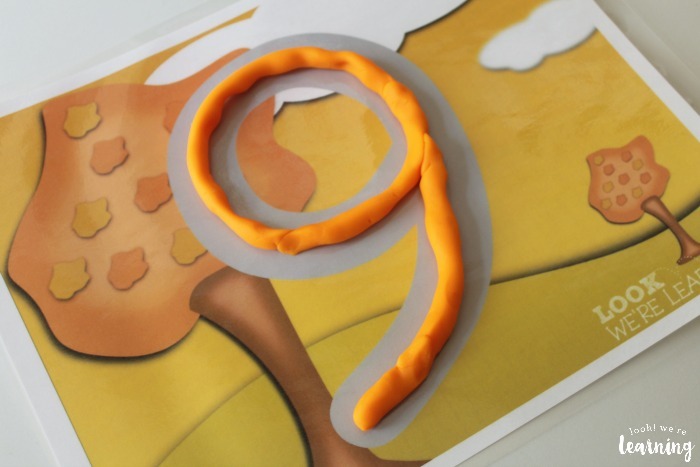 Plus, there are printable fall playdough mats for the numbers 0-9 as well! 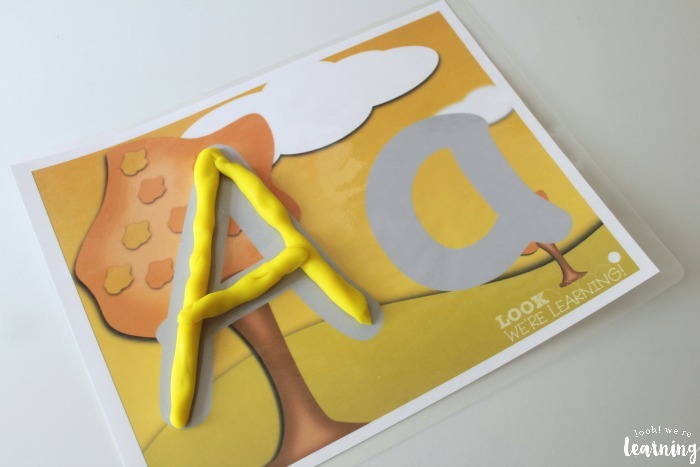 Be sure to laminate them before you use them with any playdough, especially if you want to reuse them at another time. 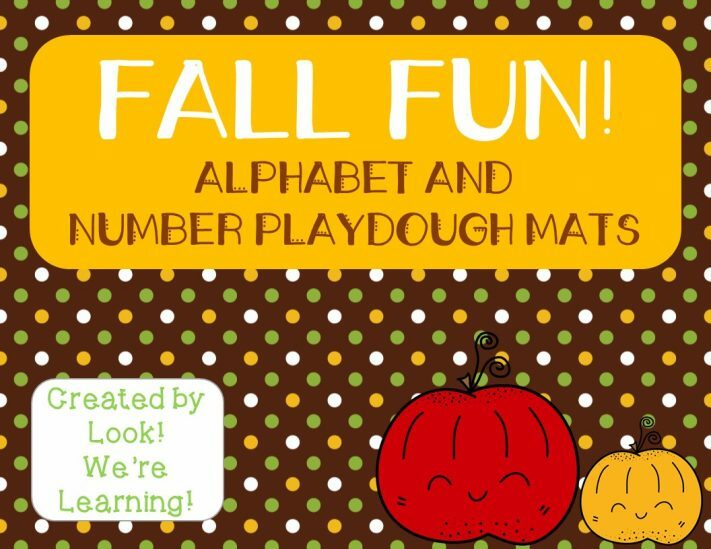 Scroll down to get your Alphabet and Number Fall Playdough Mats! 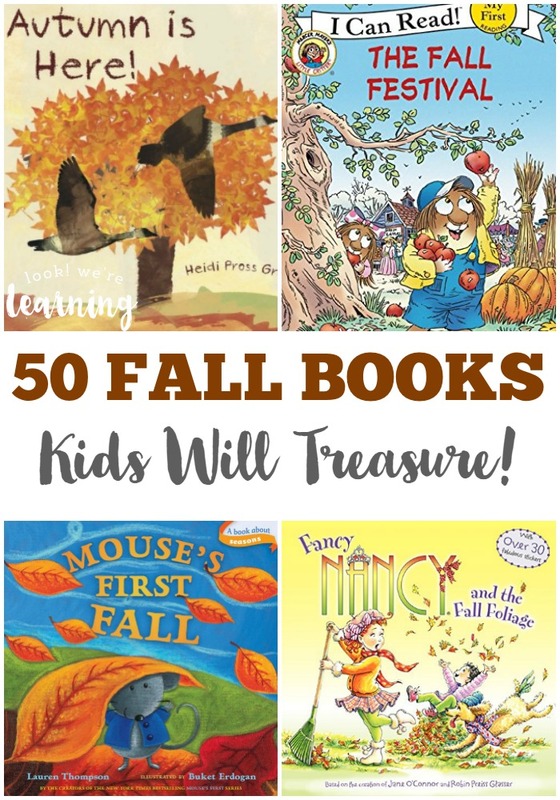 Make this activity into an easy fall pre-k unit with these fun toddler books about fall! Need some ideas for making your own playdough for use with these mats? Check out these simple recipes! 1. DIY Edible Playdough – Look! We’re Learning! 3. 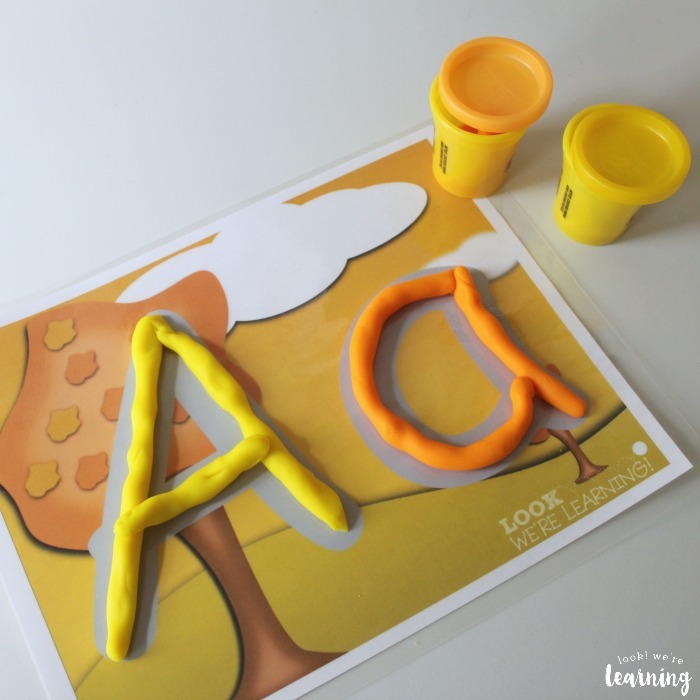 Kool-Aid Playdough – Look! We’re Learning! 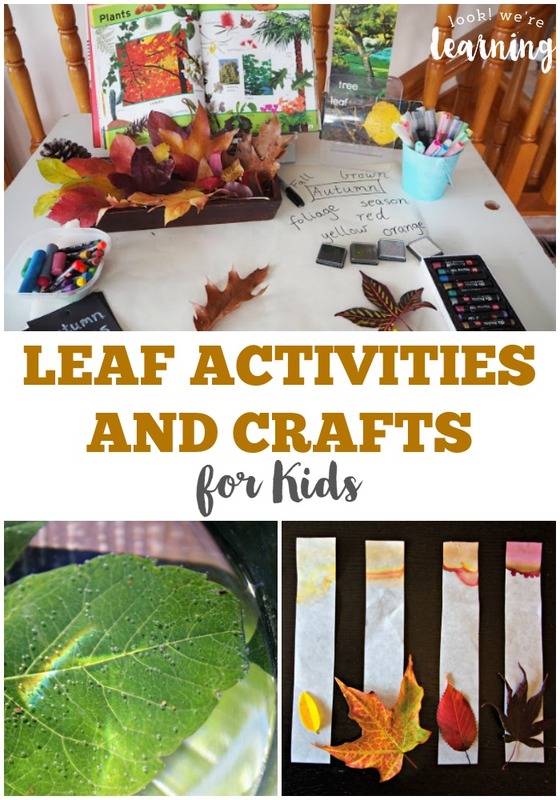 Don’t miss these other fall activity posts! See even more tips for teaching young ages on my Learning for Little Ones Pinterest board! 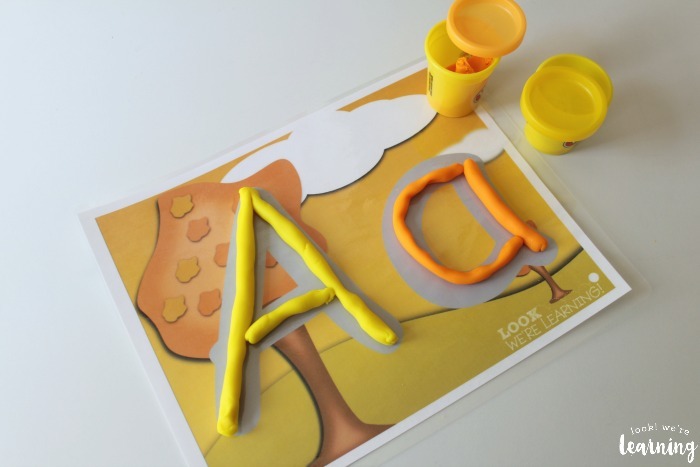 To get your copy of our Alphabet and Number Fall Playdough Mats, click the image or the link below to visit our Store! P.S. You can get teaching ideas and learning activities for kids in your inbox when you sign up for our email newsletter! Just sign up using the widget below. Looks like a fun learning activity!